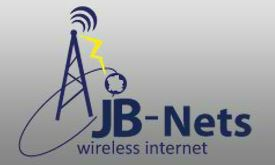 JB-Nets offers Internet service to approximately 15,914 people in 4 cities over 1 states. JB-Nets is available in 1 state. K & M Telephone Company provides Fiber and DSL services. Info-Ed(931) 243-2101We are a small ISP operated by computer and electronics' professionals, along with monetary backers. We have a combined staff with over 30 years experience in computer sales, service, programming, and networking. Info-Ed provides Fixed Wireless services.